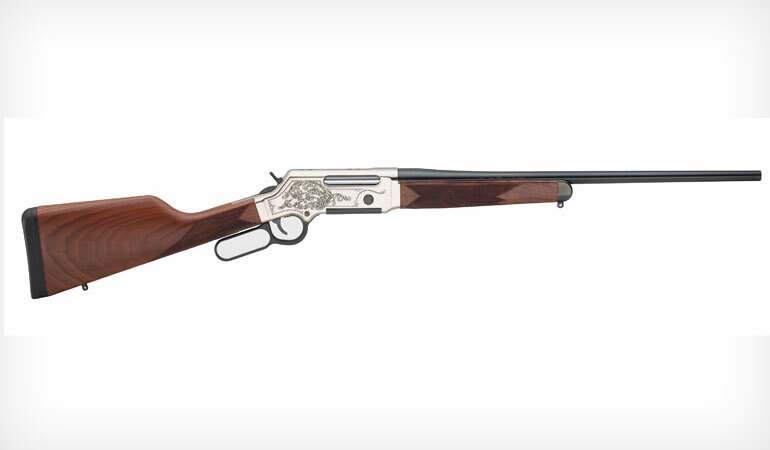 Henry Repeating Arms is introducing nine new models that include engraved finishes for the Long Ranger rifle series and additional caliber options for the Single Shot rifle series. 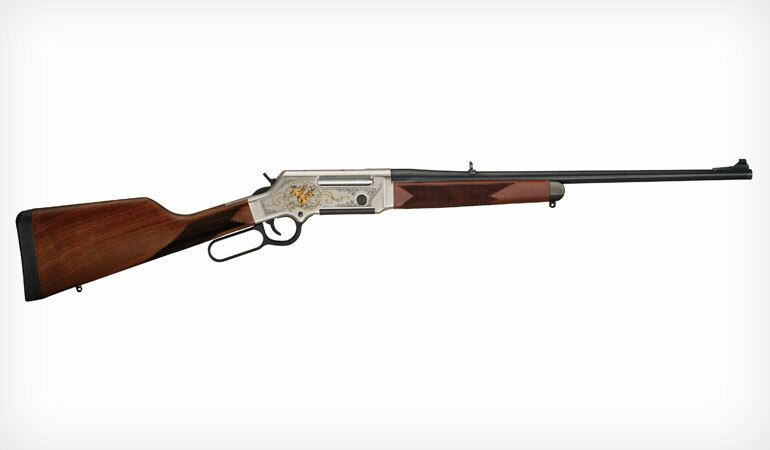 Henry Repeating Arms, the American firearms manufacturer based out of Bayonne, NJ and Rice Lake, WI is introducing nine new models that include engraved finishes for the Long Ranger rifle series and additional caliber options for the Single Shot rifle series. These new releases come less than a year after introducing over a dozen models at the beginning of 2018 as a result of customer feedback and suggestions. 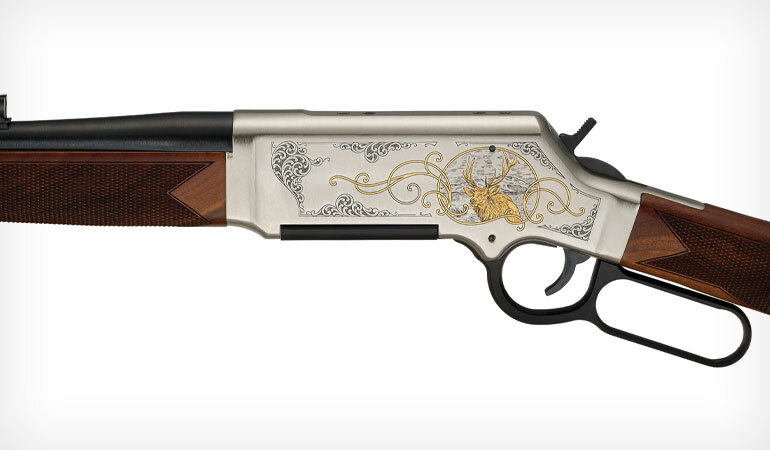 The Long Ranger Wildlife Engraved Edition rifles provide another twist to the original Long Ranger finish with highly detailed engravings saluting some of North America's most revered game. 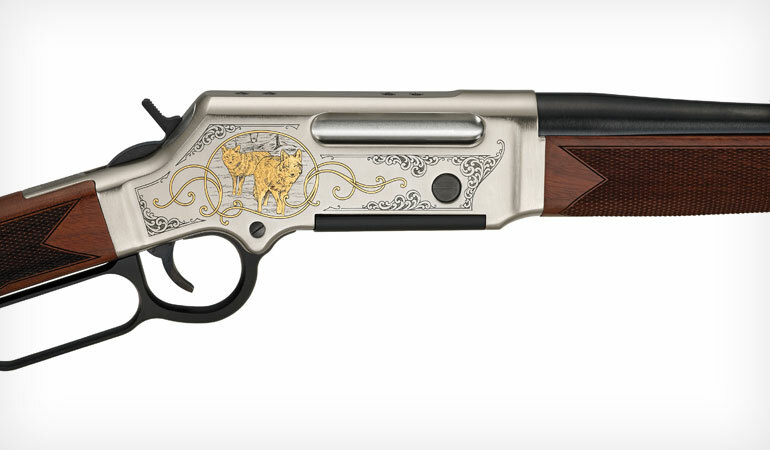 The receivers share the same nickel plating and 24K gold highlights as the Deluxe Engraved Edition rifles. The .223 Rem/5.56 NATO version (H014WL-223) features a single coyote head on the left flat of the receiver and a pair of full-figured coyotes on the right. The .243 Winchester version (H014WL-243) shows a single pronghorn antelope head against a background of rolling hills on the left side of the receiver, and a full-figured pair on the prairie on the right. The .308 Winchester rifle (H014WL-308) depicts a majestic bull elk in a mountain setting on its left, and a grazing pair on its right flat. 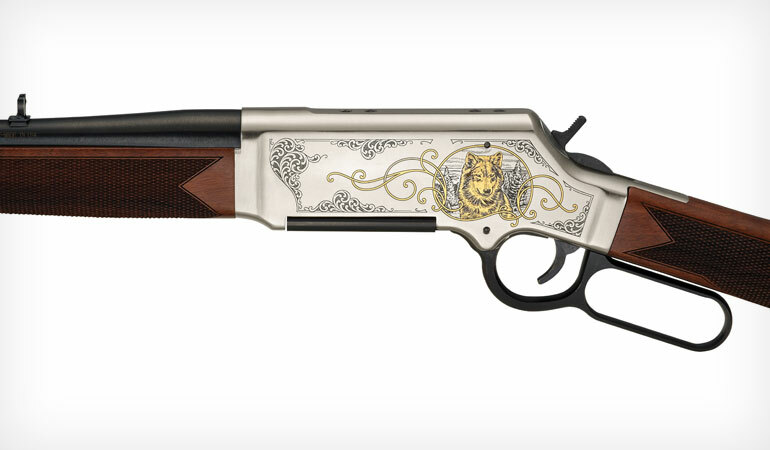 The MSR price for the Long Ranger Wildlife Engraved Edition rifles is $1,850. For more information visit: https://www.henryusa.com/rifles/henry-2018-long-ranger-wildlife. As an expansion to Henry’s line of premium break action single shot rifles and shotguns, both .30-30 Win and .357 Magnum are now available. Single shot rifles are often sought out for their dependable simplicity, lighter weight, or the challenge that they provide to hunters who value the more methodical approach required when only one shot is readily available at any given time. The .357 Magnum version, which can also shoot .38 Special ammunition comes in either a blued steel receiver (H015-357) or a hardened brass receiver (H015B-357). The .30-30 Win rifle is only available with a blued steel receiver (H015-3030). The MSR price for the brass .357 Magnum rifle is $576, and the MSR price for both steel versions is $448. For more information visit: https://www.henryusa.com/rifles/single-shot-rifle/. Until now, Henry’s youth-sized firearm offerings only came chambered in a .22 caliber. The new Single Shot Youth Rifle and Single Shot Youth Shotgun add 2 new options for youth hunters. The rifle is available in .243 Win (H015Y-243) and the shotgun is available in 20 gauge (H015Y-20). Youth hunters often learn the basics of responsible firearm handling with a .22 rifle and then graduate to a milder shooting, but more powerful round for game. Both of these youth models are finished with blued steel metal and American walnut stocks with a length of pull that is 1" shorter than their full-sized counterparts. For more information on the shotgun visit: https://www.henryusa.com/shotgun/single-shot-shotgun/ and for more information on the rifle visit: https://www.henryusa.com/rifles/single-shot-rifle/. The MSR Price for each is $448. Henry rifles can be purchased through a licensed firearms dealer. Most dealers offer a discount off of the MSRP. For more information about the company and its products visit henryusa.com or call 866-200-2354.